The field of psychoanalysis is on the brink of extinction. 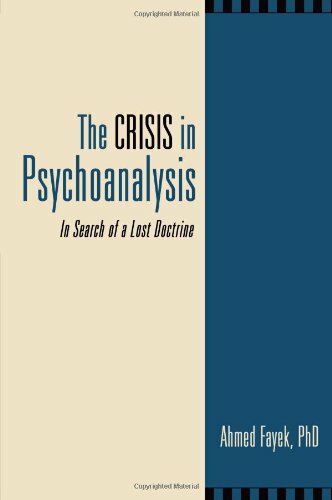 With the declining numbers of classical analysts, the field has become inundated with mediocre theories, making it difficult to discern what psychoanalysis really is.In The Crisis in Psychoanalysis, Dr. Ahmed Fayek traces the destruction of psychoanalysis to the decline of Freudian doctrine, and proposes that only through a rediscovery of the core principles that make up of Freudian doctrine&#x2014;principles that Freud himself did not adequately articulate&#x2014;can this crisis be resolved. With experience as both a practitioner and a training and supervising analyst, Fayek offers scholars and members of the psychoanalytic community a comprehensive account of the state of the field&#x2014;past and present&#x2014;and paves the way for the rebirth of a lost doctrine. Ahmed Fayek received his PhD in clinical psychology from Ein-Shams University in Cairo. A former member of The Canadian Society and Institute of Psychoanalysis, the American Psychoanalytic Association, and the International Psychoanalytic Association, he has spent countless years practicing, teaching, and training in the field. In addition to serving as psychologist-in-chief at St. Mary&#x2019;s Hospital in Montreal and the director of psychology at the Royal Ottawa hospital, he was also an associate professor of psychoanalysis at Ein-Shams University. He is now retired and lives in Toronto, Ontario, Canada.